※ Hours vary depending on exhibitions and events. ※ For details on Tokyo Midtown, please visit the Official Website. 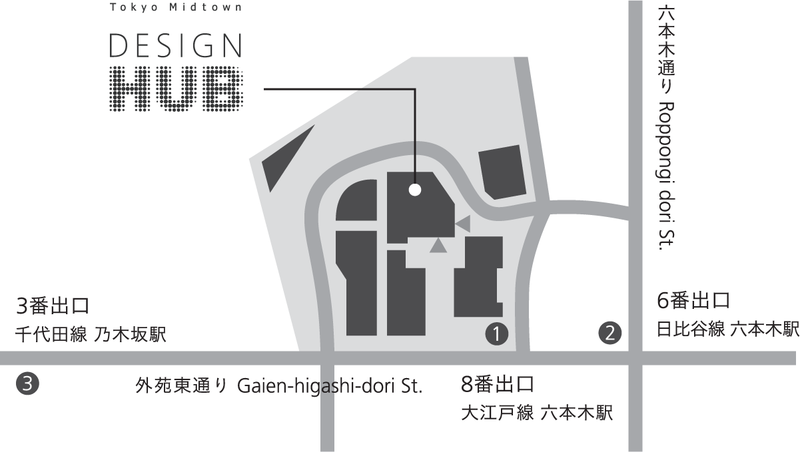 © Copyright Tokyo Midtown Design Hub. All Rights Reserved.